Ok, I did it! I jumped on the athleisure wear train! 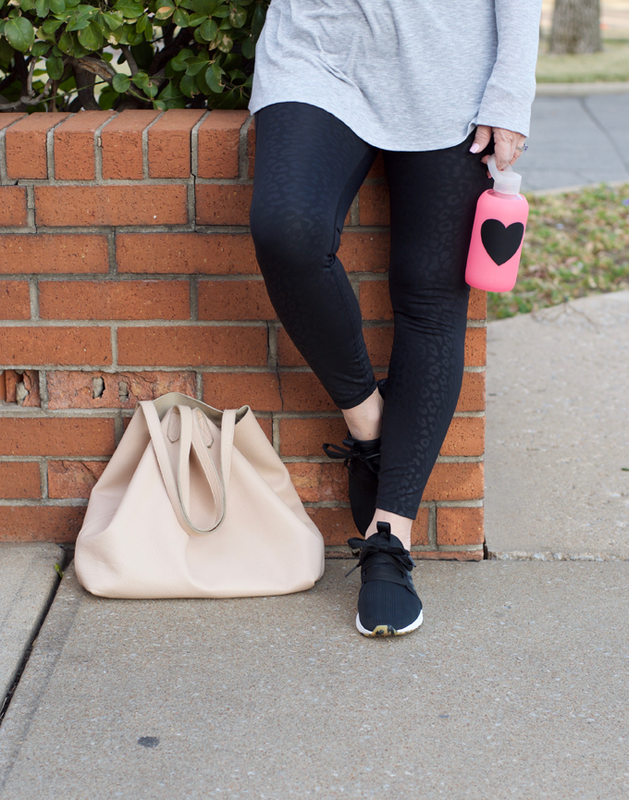 I slipped into these leggings and realized instantly why so many gals wear them. Super comfy.... and talk about making you feel pulled together in all the right places. I have to admit, I'm not one to run around in leggings; It's just not me. Give me a pair of slim fit joggers and I'm happy, but these are pretty fab. My best friend from high school has a pair of leggings for every day of the week. She literally lives in them and she talked me into my first pair. I love the black on black leopard print of these and now I see now why so many girls wear them all the time. I think they would great for traveling and with the right longer top or tunic, they could be airport appropriate. I personally have always dressed for traveling. You never know who you are going to cross paths with in an airport and while I have never had my luggage lost ( fingers crossed it doesn't happen), being dressed for an occasion rather than a yoga studio feels better to me! Just saying!! Who else besides me has missed Wednesday Wants? I am so excited to share the first installment for 2018. 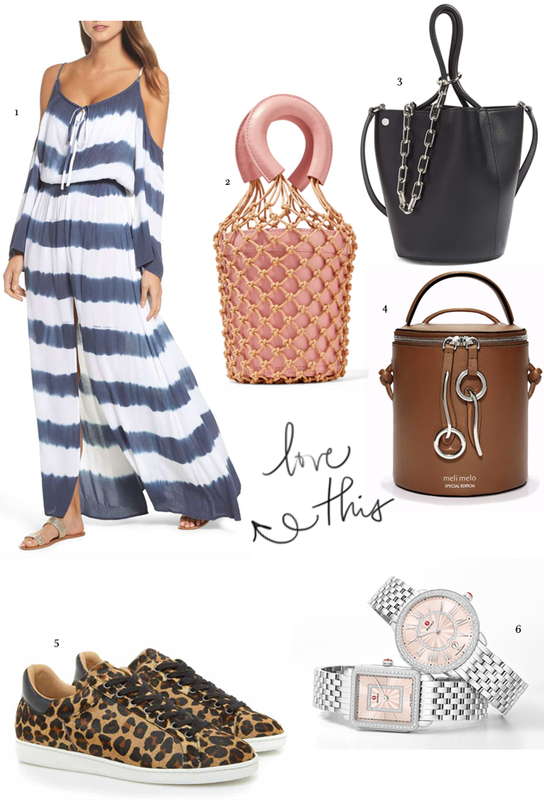 I must be having a thing for bucket bags because all three of these are fabulous. I want all of them! That Staud bag is super fun! I am glad that tie dye is still a "thing" because this cute maxi dress is perfect for a spring day. On to these shoes..... Now you know I have a thing for leopard.... these Air and Grace sneakers are the best. I mean really.... they are super casual but yet certainly can take your weekend wear up a notch!! Can we stop for a minute and imagine this pink dial Michele watch on our arm? This is feeling like a must have for me. I love my Michele watch and wear it every day. I recently have been thinking I would like to switch things up and get a round dial watch.. I think I found it! Put a little pink on me and watch me shine! 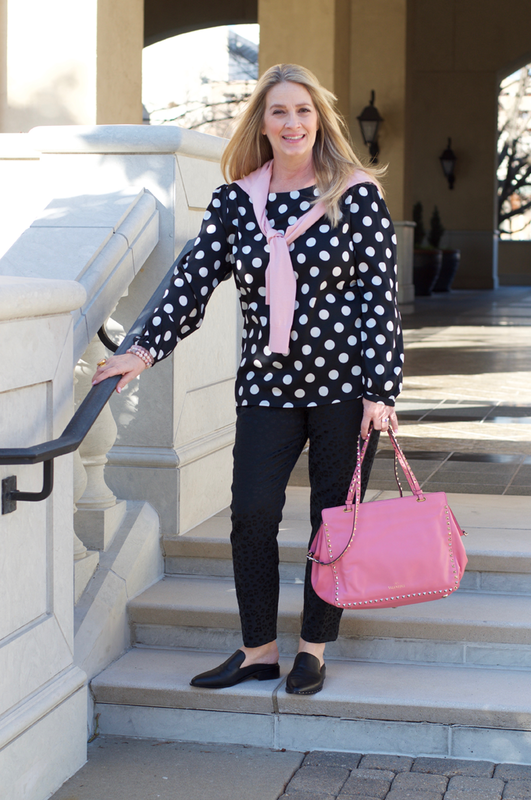 Gab alway says, my best pics are when I am wearing pink! I think she is right! It doesn't hurt that my bag is pink either! 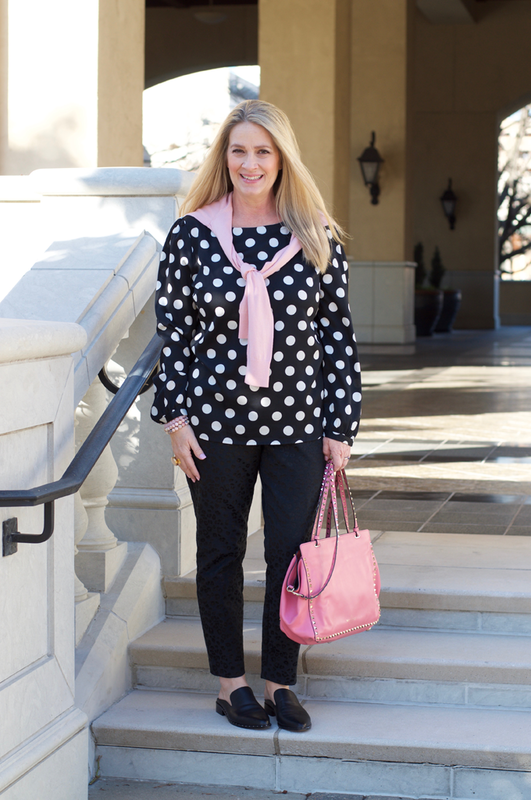 I love a good polka dot and this shirt does not disappoint. 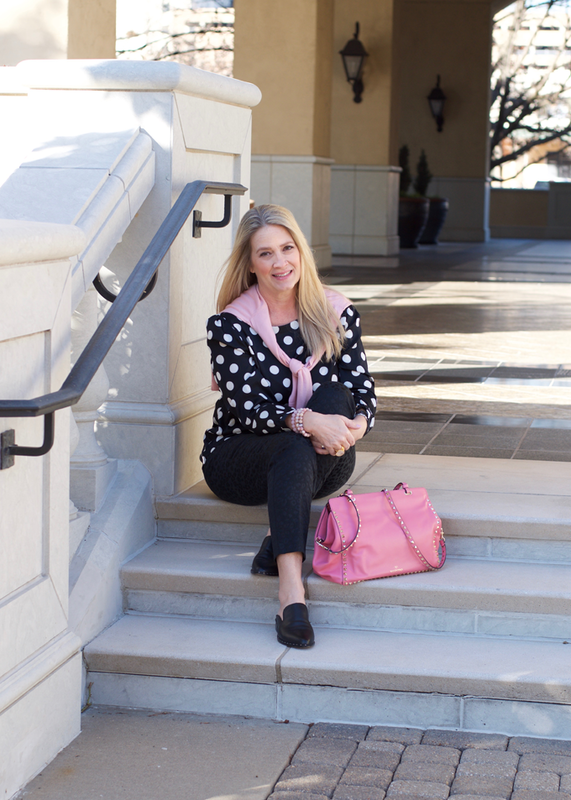 When I found this soft pink cardigan I knew I would want to pair them together. To elevate my pattern mixing, these pants are a black on black leopard print. If you read my post How to Pattern Mix, then you know I am not shy of mixing it up!! Because the pants have a leopard pattern in them I chose a solid black shoe. Adding a few good items to my closet that I can multipurpose in different seasons is always a good investment. 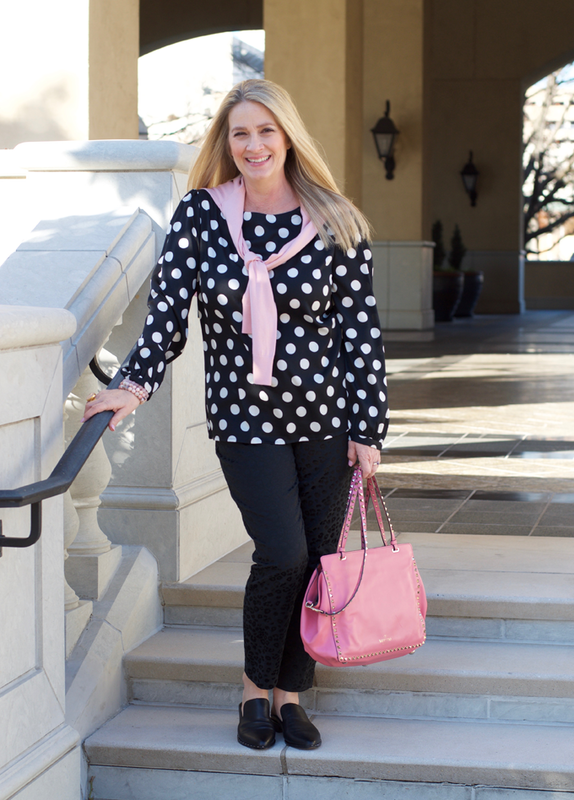 Have you added any transitional items to your wardrobe lately? What are some of your favorite items to multipurpose? Happy Monday lovelies!! It is a great day! 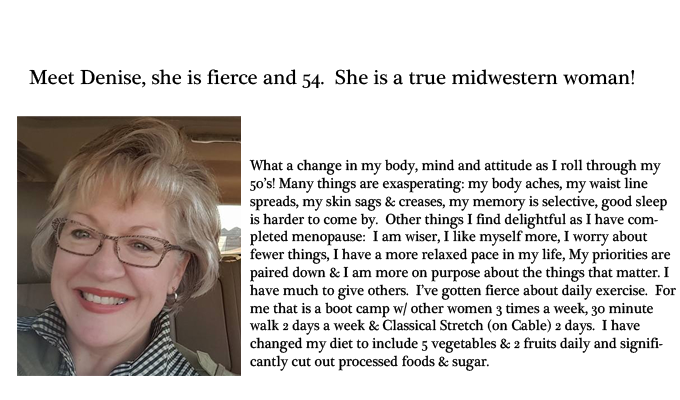 I am so excited to be sharing with you not only my idea of what I think it means to be fierce in midlife, but the ideas of a few thousand other ladies as well! Yes, you read that correctly. 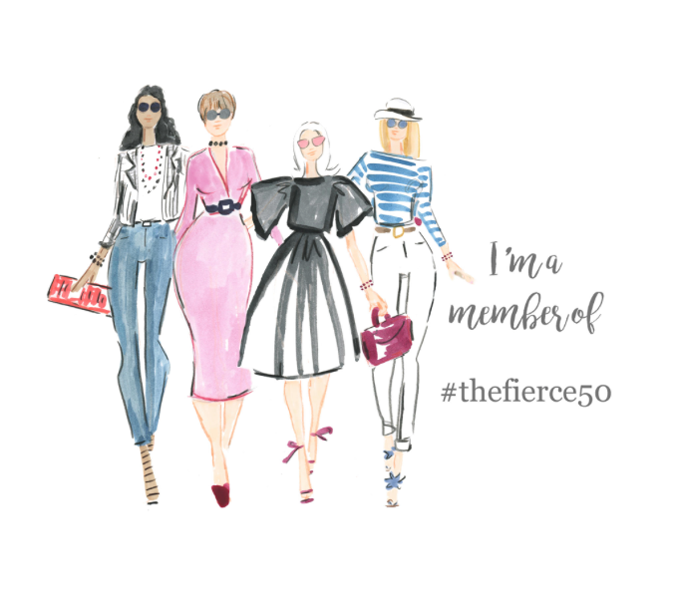 Today is Forever Fierce Day and I have collaborated with 50 other bloggers; who just happen to be fierce sisters! 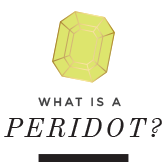 We all have asked a few friends, neighbors, and even family members to share what they think. 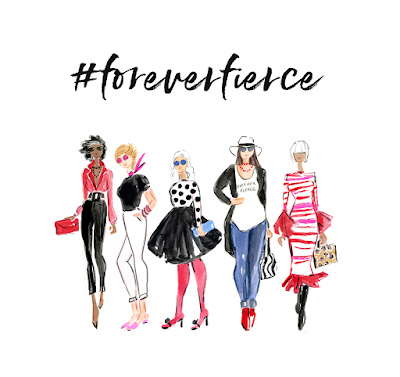 Read all of their stories here #Foreverfierce. Is midlife the wrong side of 40? I don't think so, actually I know it's not! So I am asking you today too... what does being fierce in midlife mean to you? I let go of the drama that people surround themselves with. I embrace the changes in my body and still rock a bikini. Gravity is inevitable, but self esteem and pride in your life is priceless. Skincare has always been important to me and I continue to take good care of my skin. Adapting to the changes has just meant adding a few new items! Wisdom is grand; with age comes the knowledge that it is sometimes better to observe rather than speak. Changing my diet has been a huge benefit! I eat more fruits and vegetables and have cut out processed food. About 6 years ago I switched up totally and became mostly vegetarian. (With the exception of sushi of course). So technically it's called pescaterian. Happiness is something that you are; a state of mind. I have been called brave for my journey and I'll take that with my head high! I was brave, still am actually. 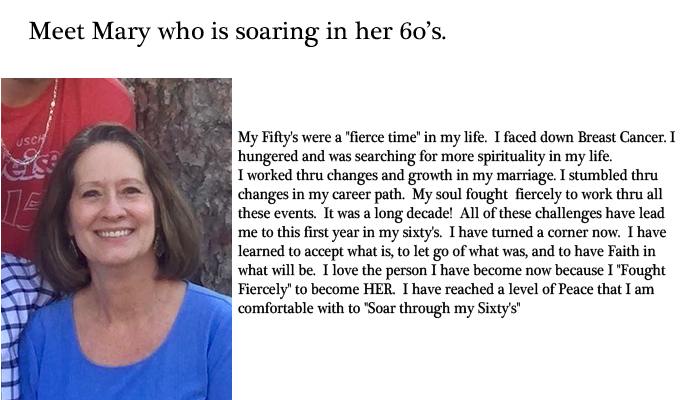 If you read my post, Life Begins at the end of your Comfort Zone then you will see that I may have been down, but I am now back up and empowered! My passion burns brighter than my fear and I am full of drive and motivation and I won't get in my own way. Change is always on the horizon and I choose to grow with it. I will reach again for what is in me. I will fiercely forge a new path and set out on it - boldly, while making no excuses. 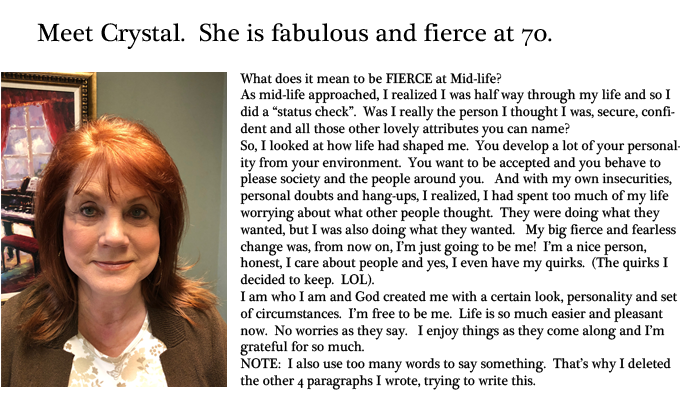 So, tell me...what does fierce in midlife mean to you? Click here to join the movement!